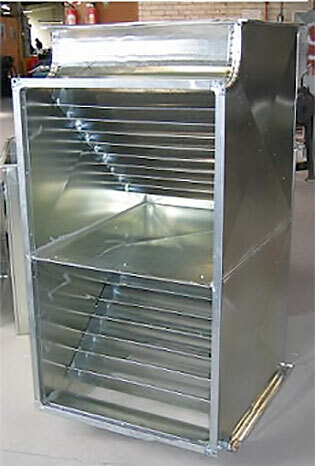 Our staff have the expertise to price from your plans, (contact us) and the skilled tradesmen to manufacture your ducting. 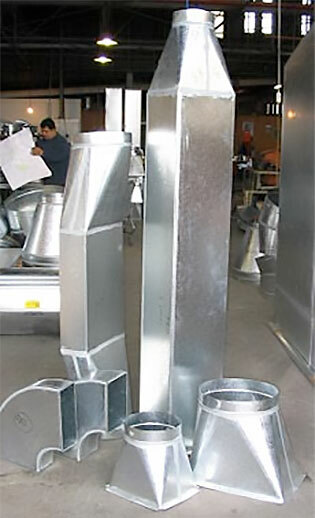 All ducting is manufactured to SMACNA standards. We have undertaken projects ranging from small residential to major commercial developments. 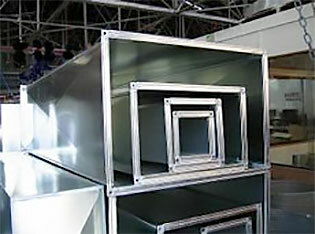 We can make duct either plain or internally lined with 25mm or 50mm insulation. 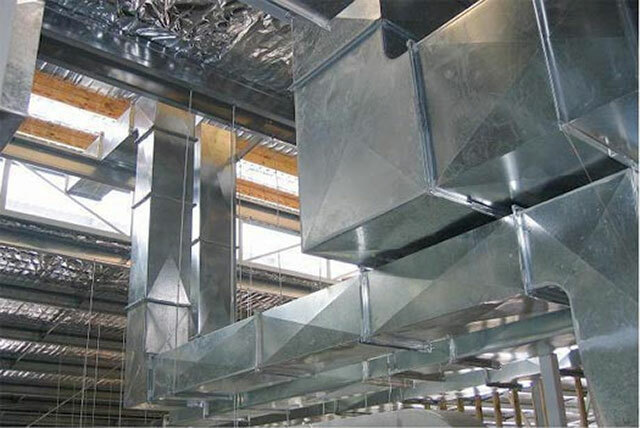 These two pictures show Jensen product in a typical ductwork installation in a large commercial premises. 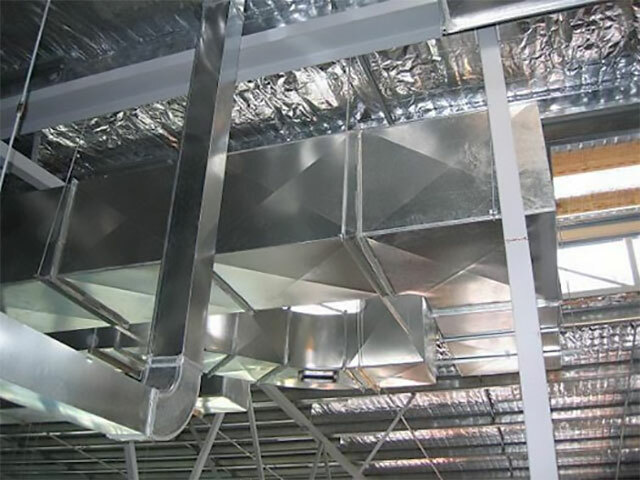 We manufacture any configuration of duct including transitions from rectangular to round, underbeam transitions and rectangular duct splitters. 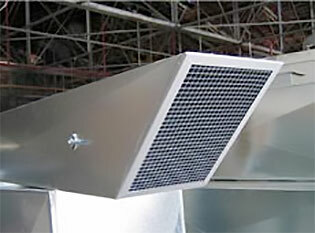 The turning vanes in this duct splitter assist the airflow. 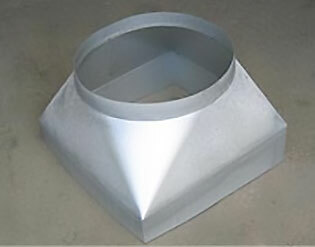 We also manufacture plenums (to suit fan coil units etc), which can be made either plain, or internally lined with faced fibreglass.